This excerpt is published as part of our blog series in conjunction with the Organization of American Historians conference in Philadelphia from April 4-7, 2019. Share using #OAH19. Although black workers celebrated their movement into the industrial city as evidence of upward mobility and progress outside southern agriculture, several overlapping developments soon undercut the extraordinary promise of the “promised land.” Employers, white workers, and the state collaborated to erect a racial job ceiling in the workplace and a racially segregated housing market across the urban landscape. 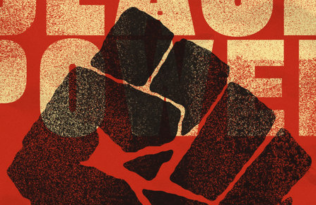 Black workers challenged deepening forms of racial inequality in the economic, institutional, and political life of the city, holding their ground whenever possible in the face of mob violence and recurring day-to-day assaults on their persons in public spaces. 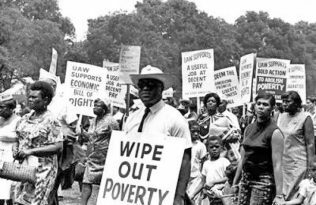 But as the Great Migration brought more and more African Americans north, their social struggles helped to gradually reshape the institutions and culture of the industrial city. The numbers are staggering. An estimated three million African Americans moved from the rural and urban South to the North and West during the interwar years of the Great Migration. Another five million black people left the South for the urban North and West between 1940 and 1980.1 Rising numbers of rural blacks also moved into the urban industrial South. During World War II alone, over two million migrants moved from one southern state to another. In search of a better life, some of those who made up the Great Migration organized their own movement from farm to city and from South to North and West, writing letters of inquiry to local branches of the National Urban League, to northern black newspapers like the Chicago Defender, and most of all to relatives and friends who had already moved to industrial cities. Others organized “migration clubs,” pooled their resources, and purchased railroad tickets at reduced rates. Still others responded to the transportation, job, and housing offers of industrial labor recruiters. Industrialists focused the bulk of their labor recruitment efforts on blacks in the Deep South states of Alabama, Georgia, Mississippi, Louisiana, and Texas.4 One employer sprinkled handbills across the wartime Alabama sharecropping region. The broadside queried prospective black migrants: “Would you like to go North where the laboring man shares the profit with the Boss? . . . Will advance you money if necessary. Go now. While you have the chance.”5 The Pennsylvania Railroad; the New York Central; the New Haven, Delaware, and Hudson; the Illinois Central; and other railroad companies recruited black labor for a wide range of manufacturing companies as well as their own extensive rail operations. 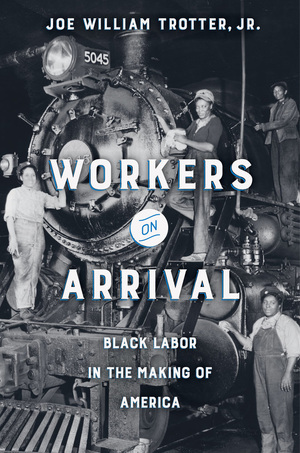 As a result, African Americans gained increasing access to jobs in the nation’s railroad, shipbuilding, meatpacking, steel, rubber, and automobile manufacturing firms. Nationwide, the percentage of black men employed in “skilled,” “semiskilled,” and “unskilled” jobs other than domestic service increased from about 34 percent on the eve of World War I to an estimated 43 percent in 1930. Over the same period, the number of black workers jumped from under 600 in the auto industry to nearly 26,000; from 17,400 to 45,500 in steel; and from 5,800 to 20,400 in the meatpacking industry. 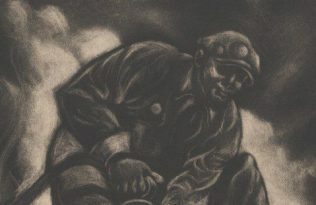 By the end of World War II, although blacks continued to work disproportionately in household and general labor jobs compared to their white counterparts, nearly 75 percent of all African Americans (predominantly men) worked in nonfarm jobs defined as “unskilled” or “skilled” segments of the black working class. The U.S. Steel Homestead works, the Jones and Laughlin Steel Company, and Carnegie Steel built upon their prewar history and expanded their black labor force in Pittsburgh and western Pennsylvania. African Americans rose from only about 3 percent of workers in the steel industry in 1910 to nearly 15–20 percent during the height of the interwar years. Some companies— Oliver Iron and Steel, Pittsburgh Forge and Iron, and A. M. Byers among others—hired black workers for the first time, while other Pittsburgh iron and steel men had employed black strikebreakers during a series of steel strikes between 1875 and 1909. At the city’s Black Diamond Steel Works and the Clark Mills, African Americans also gained access to such skilled jobs as roller, rougher, finisher, puddler, millwright, and heater. In some cases, they even supervised some of their less skilled white counterparts. Finally, Chicago employers also built upon a coterie of black workers from prewar strikebreaking activities. Such manufacturing firms as Swift, Armour, Pullman, and International Harvester added increasing numbers of blacks to their payrolls. The Teamster strike of 1905 had resulted in a few jobs for blacks when the strike ended and white workers returned to their routes, but the stockyards strike of 1904 had brought over 360 black workers into the meatpacking industry. Soon after the stockyards strike, the segregationist governor of South Carolina, Ben Tillman, visited the city. The black workers, Tillman said, seeking to stir northern white working-class racial hatred, “whipped you in line. They were the club with which your brains were beaten out. and save 40% on this book.